Hello Nature Grants Calgary! 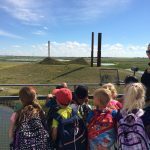 Today all the kindergarten students from St. Isabella spent the day at Ralph Klein Park using the grant money from you! We had a wonderful day exploring and learning about the wetland habitat there. We had been doing a bird inquiry in class prior and were able to see many types of birds there today. 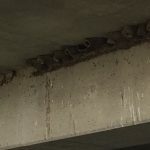 We especially enjoyed the swallow nests. Learning about how the park is designated for cleaning the rainwater before it re-enters the Bow river was very interesting! Thank you so much for helping provide us a valuable day of learning.